In our June Wood Matters, we reported on the development of the Programme for Endorsement of Forest Certification (PEFC) and its availability to NZ forest owners who might be receiving demands for PEFC from their particular markets. At that stage PF Olsen sought to establish what, in practical terms, it meant administratively to provide a PEFC certification option to clients should they require it and we had also sought feedback from Wood Matter’s readers as to whether there was an interest in PEFC. Since that time, PF Olsen has received specific client requests for PEFC certification. As a consequence preparations have been made to ensure management and documentation systems are compatible with PEFC requirements as well as FSC, and PF Olsen will undergo audits for PEFC certification for a client in the next quarter. If this stage confirms compliance capability, we plan to then address the needs of a second client for dual FSC and PEFC certification later in the year. As we advance into the New Year, PF Olsen’s programme of tailored environmental training for contractors and staff (see Wood Matters Dec 2016) is gaining momentum with the second regional course run in Waitomo in January and the next programmed for the Wellington Region at the start of March 2017. All the regional courses this year are focussed on the theme of "the importance of water” and represent the second round following on from a wider ranging theme of important environments in our forests that featured last year. 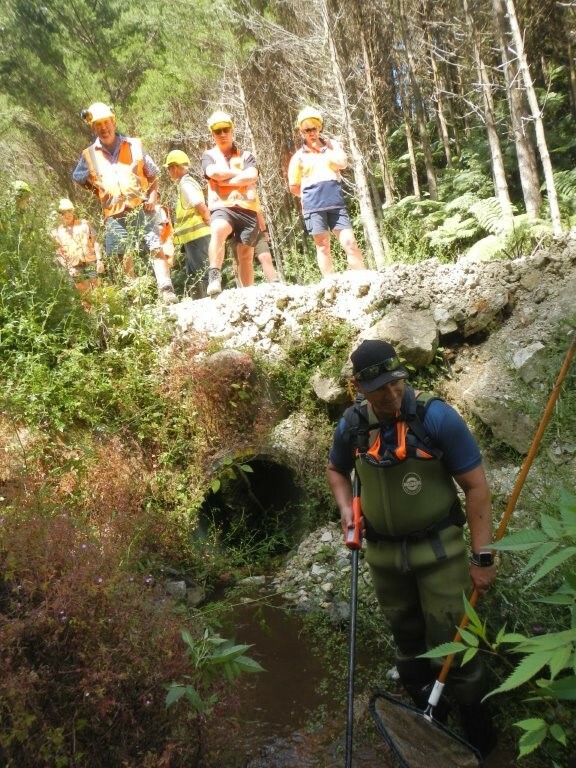 The Waitomo course involved 50 PF Olsen staff and contractors from Western Bay of Plenty, Waikato, King Country and Taranaki operations and included staff from the Waikato and Taranaki Regional Councils. As before there was a particular focus on how to improve sediment management around water in operational forestry situations, and also demonstrate the potential for important native fish species to be found in small forest streams. For the second time in a row this struck a definite chord with the attendees when electric fishing in a very small stream yielded a threatened long finned eel as well as Koura (native freshwater crayfish). Electric fishing in the small forest stream where long finned eel and koura were located. The culvert, a past installation, was one site identified in the programme as being in need of upgrade to provide better protection to the stream environment.